It’s August 19th, and it is time for us to celebrate and recognize the brave souls who risk their lives in the in the way of humanity. These individuals put those in need before themselves irrespective of the dangers and adversities they may face in the process. This World Humanitarian Day, as celebrated globally, builds on the momentum of the #NotATarget campaign spearheaded by the UN and followed by the global humanitarian community last year. Each one of us has the ability to inspire others to do good; may it be through our words or through our actions. Some of us inspire people more than others and touch the lives of those around them with positivity, care and endless empathy. Today, we share stories of some of the most inspiring and relentless humanitarian workers we know. 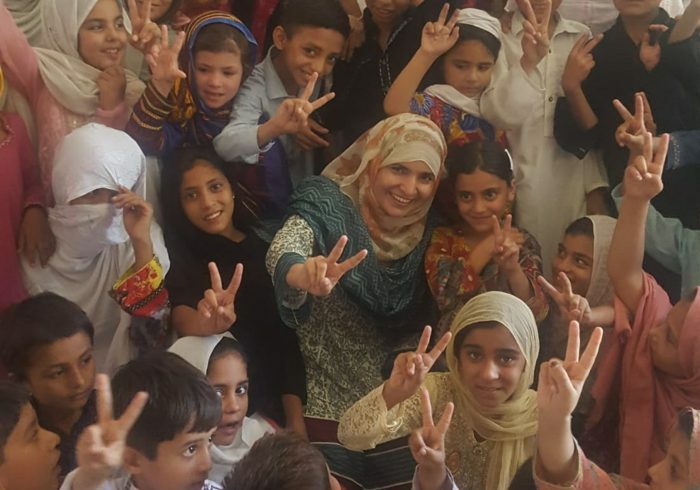 Shahida Sarwar, in the field of humanitarian response and rehabilitation since 2006, has passionately been working for the progress of the local communities in her hometown of Mansehra. Shahida has committed all her energy and time into ensuring she provides the best and most accountable emergency relief services as well skill development opportunities to the people she serves so that they can benefit from being equipped with sustainable livelihoods. 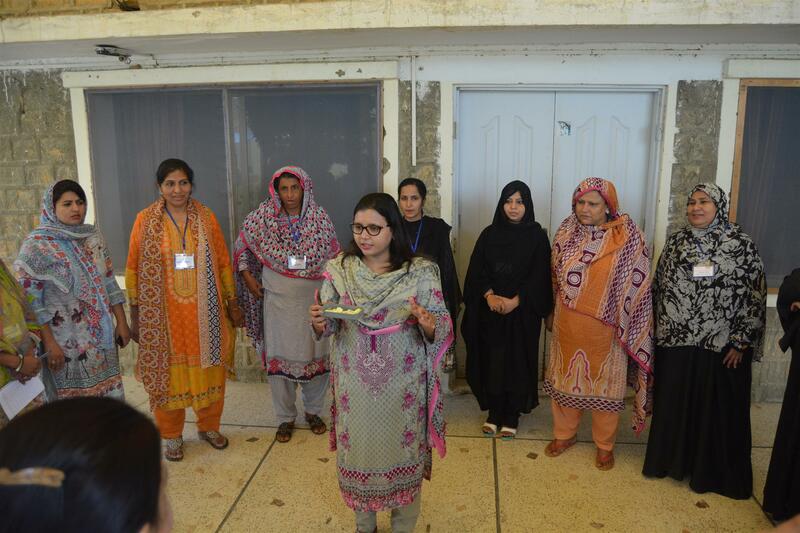 Shahida is currently employed with Helping Hand for Relief and Development, an NGO working in Pakistan. I was working for World Vision in District Mansehra in 2010. We were working on an emergency response project for local communities. On a Wednesday morning, ten unknown masked men attacked the World Vision office. I lost seven colleagues that day. I was among the injured and got seven stitches on my forehead. We were left helpless, traumatized and frightened. This incident did not break my courage and motivation towards helping others. 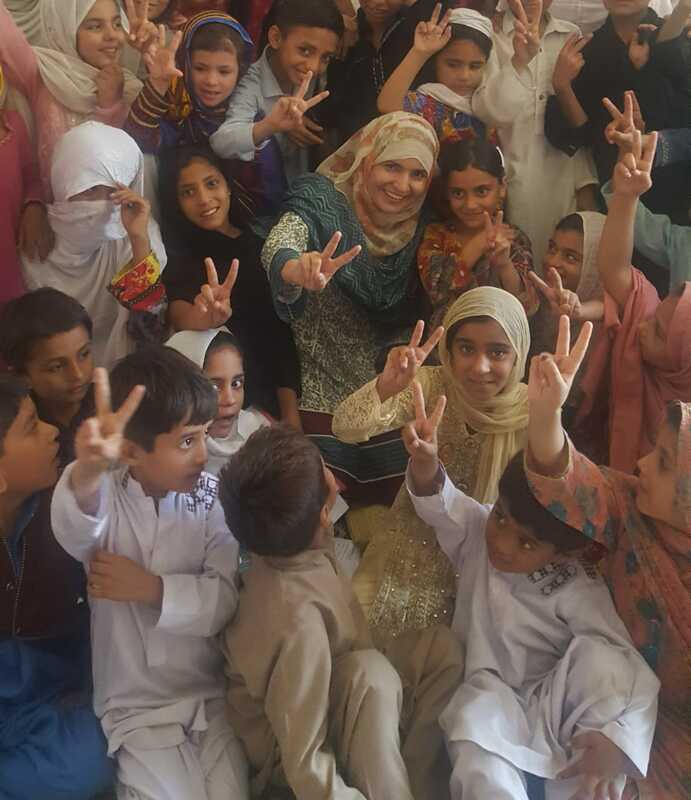 Taking this incident as a gift of a second life, I stood up strong again and was even more determined than ever to help and work with the underprivileged children, women and men in the area. As a social mobilizer today, I believe I have a vital role of conveying the message of humanity and that humanitarian workers are #NotATarget. We are here to help, not harm anyone. The smiles I see in the communities I work with makes me feel honored and content. This humanitarian day, my message is that we all need to join hands with humanitarian workers working endlessly around the globe to foster empowerment, prosperity and help improve the lives of those in need. Jhaman Das Parmar, a post-graduate in Sociology, has been working in the development sector in Sindh since 2012. 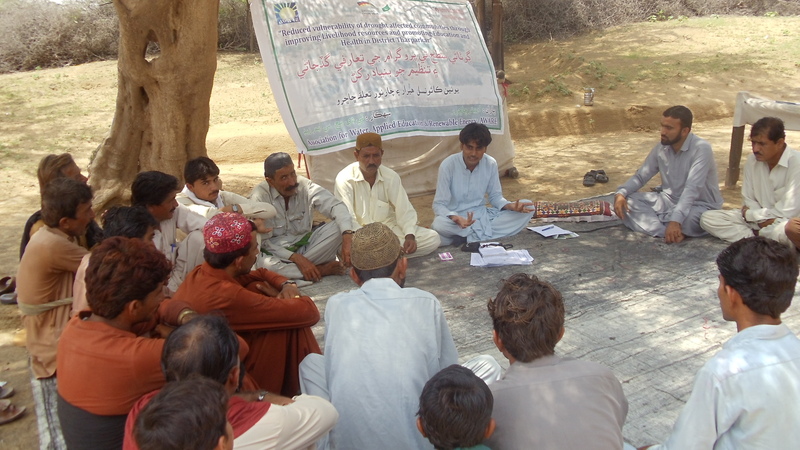 I have been working with various local and national organizations in Taluka Chachro, Tharparkar district. Helping communities in Tharparkar is my motivation to work. In Kankayo village of Taluka Chachro, the community was very conservative and rigid with organizations who came to help people in the village. This was due to many prevailing myths and misunderstanding about the role of NGOs in the region. Many of these communities faced innumerable social and economic challenges including malnutrition, night blindness, illiteracy and limited access to appropriate healthcare, especially for women. Working as a Social mobilizer with AWARE, I was determinate to bring change in Kankayo. When I first visited the area, the villagers clearly refuse to talk to me and stopped me from entering their village. Jhaman decided to start his work from a small neighborhood, whose people were more welcoming and progressive as compared to the other nearby villages. The neighborhood had seven homes where I initially held meetings. I explained the importance of water schemes and education of children to the residents of these households. The elders in the neighborhood realized that I was not coming to them for my interest, but to make progressive development in their village. After three months of frequent meetings, the elders approached the village people about the changes I spoke about. Being influential figures, the elders were able to convince the villagers to allow AWARE to work in their village for their development. Our team, including myself, held sessions and implemented project interventions. We set up Solar Powered Water Schemes and constructed schools, equipped with furniture, good infrastructure and computers in the village. Today, that village is considered as a model village and other villages have themselves requested for our organization’s assistance. Nadia Riasat, Senior Program Officer at Community World Service Asia, shared her experience of facing hurdles while working on an aid distribution project. Working as Program Coordinator on Adult Basic Education Society (ABES) in district Mianwali of Punjab, we provided aid assistance to the victims of floods in the years 2010, 2011 and 2014. Communities were forced to leave their homes with limited belongings. These communities lived in camps with limited access to clean water, sufficient food, proper healthcare and hygienic environment. Through our emergency relief projects, we provided aid assistance to these vulnerable communities. All the project staff assembled the food and non-food items according to the number of beneficiaries shortlisted. Only my male colleagues went to the communities for aid distribution. Many of my fellow humanitarian workers were often mobbed during the aid distribution, as the number of expected project participants present would exceed the initial anticipated number. Some of my colleagues would return with minor injuries and ripped clothes. Humanitarian workers have faced various incidents of intentional or unintentional violence in this part of the world. Despite these challenges, we do not stop helping the people in need, as we know their needs are far greater than the risks we face. Today, I call out to support all humanitarian workers who are working for the benefit of vulnerable communities by putting their lives at risk. Let’s pledge to be part of this chain and continue to work with commitment to help and save others. Humanitarian aid is, at its best, a reflection of the notion that whatever our differences and disagreements, people can still recognize and affirm each other’s fundamental humanity. Aid workers put their lives on the line not to exert political leverage but to practice humanity by helping those in need, irrespective of their class, creed, gender, race or religion. A tehsil (or taluka) is an administrative sub-division of a District.